Other photos: Salon, Salon, Salon, Salon, Galley, Galley, Dinette, Companionway, Master Stateroom, Master Stateroom, Master Stateroom, Master Head, Master Head, VIP Stateroom, VIP Stateroom, VIP Stateroom, Guest Stateroom, Guest Stateroom, Helm Electronics, Teaser Reels, Helm Seating, Helm Seating, Flybridge Seating, Cockpit, Cockpit, Cockpit, Aft Control, Aft, Engine Room. The 2006 OCEAN YACHTS 57’ SUPER SPORT SPORTFISH HOOKEM DAN O is loaded with upgrades, including MTU 1500HP twin engines, bow thrusters, bridge A/C, underwater lights, satellite TV, granite countertops, Bose Lifestyle 35 system, Amtico teak decks, and Amtico teak helm decks. She’s also extremely spacious, with 6' 5" headroom in the salon. 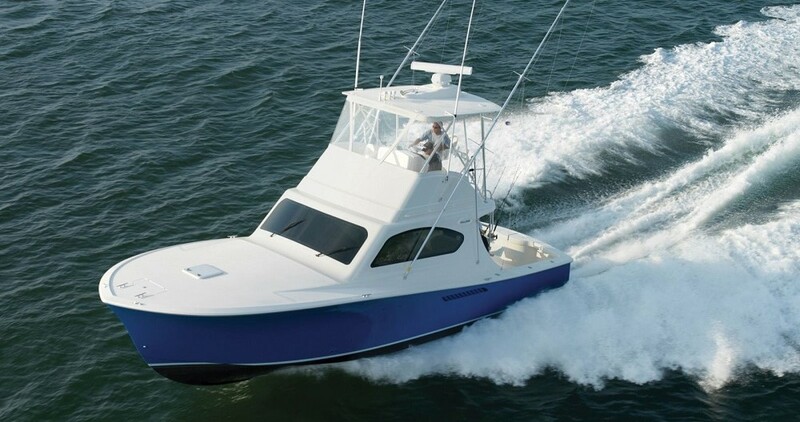 This 57’ SUPER SPORT features a three-stateroom, three-head layout, with full beam master. See the full list of features and updates below. EXPRESS trades considered. The loaded 2006 OCEAN YACHTS 57’ SUPER SPORT SPORTFISH HOOKEM DAN O is ready to view today.